This Low noise Wideband masthead amplifier kit is used to boost UHF TV signal in poor reception areas (signal obstruction or long distance to transmiter). Variable gain let you to set optimum level of gain to transform a hazy picture into a clear with lowest level of interference. 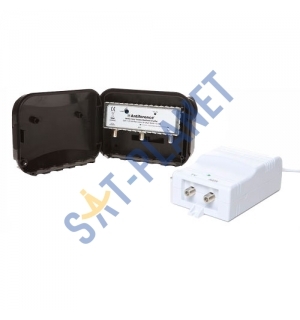 This kit can be used to feed 2 rooms with improved quality TV signal.